Lindblad Expeditions - National Geographic in Caminos de Osa! Today we celebrate! Four years ago we joined efforts with local and international organizations and colleagues from the tourism industry to support the people from the Osa Peninsula. After an intense process of training, Caminos de Osa has become their best option for better livelihoods and thriving opportunities. Caminos de Osa consists of three main routes that cross the most biodiverse area in the South Pacific of Costa Rica, right where the Corcovado National Park is located. Besides hiking through the rainforest, travelers can go horseback riding, kayaking, or just relax and disconnect from it all. The best part of the journey is staying every night with welcoming local families from the Osa, sharing and learning about their heritage. 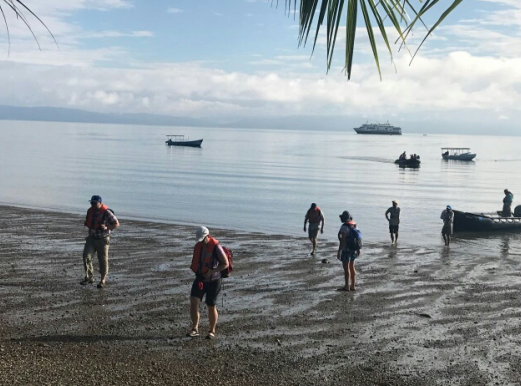 We are very excited to welcome our guests from Lindblad Expeditions – National Geographic to Caminos de Osa! 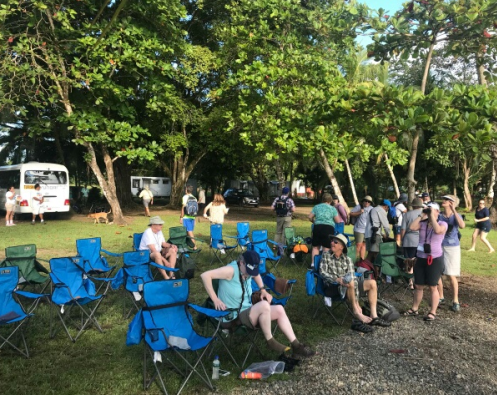 They will enjoy a beachfront picnic, learn about gold mining, sugar cane processing, and relish tasting traditional, natural recipes made with vegetables grown organically in these plentiful lands. Enoc is in charge of coordinating operations locally; Rocio helps create a comfortable ambience; Marylin and Alvaro prepare a fabulous picnic site; Juan will give the gold tour; Johnny leads the sugar cane tour; and Haydee will guide the hearts of palm tour. To them and their families, and the Caminos de Osa Association, we say thank you! Best wishes to the Caminos de Osa entrepreneurs! Welcome friends from Lindblad Expeditions – National Geographic!